Have you ever wondered how Time+Tide came to be? Who are the people behind it? Apart from Andrew and Felix that is. And, hey, what exactly happened for us to grow from a watch Instagram account in Melbourne, Australia, with 18 followers in 2014 to be here at Baselworld for the I don’t know how many-eth time, getting hugged in hallways by the frightening force of nature that is Jean-Claude Biver… This year, JCB even remembered my name. It’s a wonderful world. This video tells the story of how we came to be part of this community, and it has a few twists. Subscribe now to join the rapidly growing Time+Tide tribe and get 10% off in the shop during Baselworld 2019. 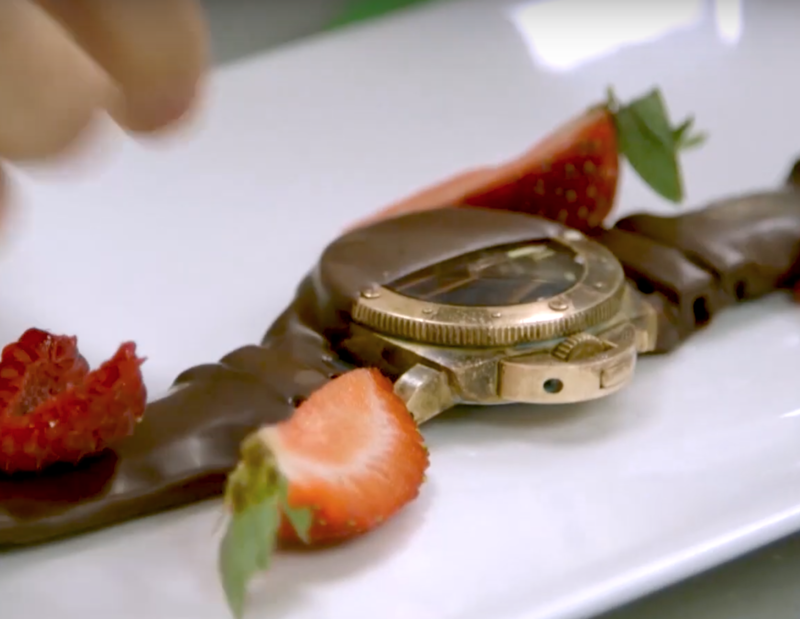 The Panerai Bronzo gets chocolate-dipped in Time+Tide’s first video.